The incidence of infectious diseases, particularly caused by multi-drug resistant (MDR) bacteria as well as bacterial resistance towards commercial antibiotics are accelerating day by day; and so, pharmaceutical companies are facing continuous challenge for producing new and more improved high potency antibiotics. As a result, the cost of antibiotics is increasing and becoming unaffordable for people in many underdeveloped and developing countries like in Bangladesh. Moreover, antibiotics are used in agriculture and in the management of livestock or poultry which is making bacteria more capable of horizontal gene transfer. Medicinal plants which have various useful compounds suitable for the production of herbal medicines could be an answer to this problem. In this research, two such medicinal plants Argemone mexicana Linn and Bixa orellana Linn were experimented. A. mexicana leaves and B. orellana dry seeds collected from North South University premises and Bangladesh Jute Research Institute (BJRI) respectively, were tested against two multi-drug resistant bacteria Escherichia coli (E. coli) and methicillin-resistant Staphylococcus aureus (MRSA) collected from Dhaka Medical College. At first, leaves of A. mexicana were dried and then pulverized to coarse powder; whereas, dry seeds of B. orellana were also grinded to fine powder. Two qualitative tests were performed; one by drop diffusion method to observe the zone of inhibition and the other by Thin Layer Chromatography (TLC) to reconfirm the presence of various phytochemicals claimed to be present in both of the test plants which had been documented in many previous works. On the contrary, quantitative assay was performed to determine the Minimum Inhibitory Concentration (MIC) of A. mexicana and B. orellana against the two test bacteria by serial broth dilution technique. Three different solvents (methanol, ethanol and autoclaved distilled water) were used to prepare both plant extracts. However, the ethanolic extracts of leaves of Argemone mexicana against E. coli and seeds of Bixa orellana against MRSA showed greatest antibacterial activities as the zone of inhibition obtained were 35 mm and 20 mm respectively compared to methanol and aqueous extracts. Therefore, ethanolic extracts of both test plants were selected for the determination of MIC values which were 2 mg/ml for A. mexicana against E. coli and 6 mg/ml for B. orellana against MRSA. Although the current study was conducted at the preliminary level, the results obtained can be useful for further research. However, detailed experiments are going to be necessary for reconfirming the results as well as for the specific identification, isolation and purification of the useful compounds from both of the test plants so that they can be successfully utilized to produce novel antibiotics. Only then, coping with MDR bacterial strains and their susceptibility towards synthetic antibiotics would hopefully become more amenable for us. Bacterial infections caused by multi-drug resistant (MDR) bacteria are posing a vital threat to humanity day by day continuously emerging on the production of high potency antibiotics. And so, the cost of antibiotics is reaching sky high everyday and becoming unaffordable for many people in underdeveloped as well as in developing countries like in Bangladesh. 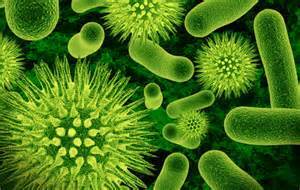 Moreover, pathogenic bacteria are becoming more and more resistant towards commercial antibiotics either through spontaneous or through drug induced mutations due to improper administration. Furthermore, antibiotics are also being used in agriculture and in the management of livestock or poultry which have accelerated the occurrence of multi-drug resistant bacteria (Sahu et al., 2010). In fact, over the past decade, some antibiotics have become almost obsolete because of drug resistance (Ekpendu et al., 1994) and consequently new drugs must be sought for. These issues are non-negligible and therefore have necessitated an ongoing search for novel antibacterial substances from various alternative sources. Fortunately we do not have to look too far away from the nature where there is a rich flora of medicinal plants rich in many useful chemical components suitable for various ailments. Herbal treatment is one possible way to treat diseases caused by multi-drug resistant bacteria (Olukoya et al., 1993). This research had begun with the goal of testing two such medicinal plants Argemone mexicana Linn and Bixa orellana Linn for their ability to fight pathogenic bacteria due to presence of various phytochemicals. Herbs and plants have contributed many active ingredients to help fight diseases and illnesses throughout the ages among which many are still in use around the world. In fact, before the introduction of modern medicines, most diseases were treated entirely by herbal remedies. Studies reveal that there are more traditional medicine providers especially in the rural areas than the allopathic providers. However, nowadays, this seems true for developed countries as well. People in developed countries are also using many traditional medicines for a number of reasons. For example, failure of many modern medicines to provide effective treatment for chronic diseases and due to occurrence of unwanted side effects many people are now questioning on the use of allopathic drugs. Contrary to the synthetic drugs, antimicrobials of plant origin are not associated with many side effects and have enormous therapeutic potentials to heal (Singh and Kumar, 2011). Therefore, more than 120 pharmaceutical drugs on the market contain extracts from medicinal plants. The World Health Organization (WHO) estimates that, up to 80% of the world now relies on medicinal plants as their main source of health care. If we go far back in history of medicinal plants, the first record for using such plants would be found in China. The Shennong Bencao Jing, a book containing information about more than 300 medicinal plants and their uses, was written around 2800 B.C. The uses of medicinal plants in Ayurvedic medicine in India dates back to 1900 B.C. Records also exist of medicinal plant use by the ancient Egyptians as far back as 1000 B.C. Compared to conventional pharmaceuticals, less experimental researches have been conducted so far on medicinal plants. Therefore, less scientific evidence exists for the efficacy of medicinal plants and their compounds. However, research interests and investments in this area are still increasing due to the diversity of plant based chemicals. Therefore, World Health Organization (WHO) has advocated that the medicinal plants would be the best source for obtaining a variety of drugs (Basso et al., 2005). Such plants should be investigated thoroughly to determine their structural and functional properties, as well as the efficiency of various parts (Ellof, 1998). Medicinal plants contain a number of phytochemicals as secondary metabolites which may be produced under many extreme conditions. Since plants belong to nature, they are under continuous exposure of many biotic factors such as predators, pathogens or diseases as well as many abiotic factors like low water availability, unsuitable soil structure or extreme temperature. Phytochemicals as secondary metabolites, many of which are radical scavenging compounds (antioxidants), can be very helpful for plants that are successfully able to produce them against various natural threats. various pharmaceuticals ever since 19th century when improvements in chemical analysis techniques had made it possible for the scientists to successfully isolate and extract these useful compounds. Some of these effective chemical constituents that are present in medicinal plants include vitamins, minerals, carbohydrates, proteins, alkaloids, flavonoids, tannins and essential oils. Every part of the plant usually holds distinct properties and can be used for entirely different purpose. For example, the leaves of the papaya trees can be useful in treating bloody diarrhea whereas the roots can treat bronchial asthma. This is because different compound present in different parts of the plant can be effective for different ailment. Alkaloids and flavonoids have antiviral and antibacterial properties (Silva et al., 1996; Iwu et al., 1999; Scheck et al., 2006). On the other hand, glycosides and saponins are antiprotozoal in vitro (Wallace, 2004). Argemone mexicana Linn is a medicinal plant under family Papaveraceae. It is commonly known as Mexican prickly poppy. In India and in Bangladesh, this plant is locally known as “shialkanta”. It is a species of poppy found in Mexico, but now it is widely naturalized in United States, India, Bangladesh and Ethiopia. 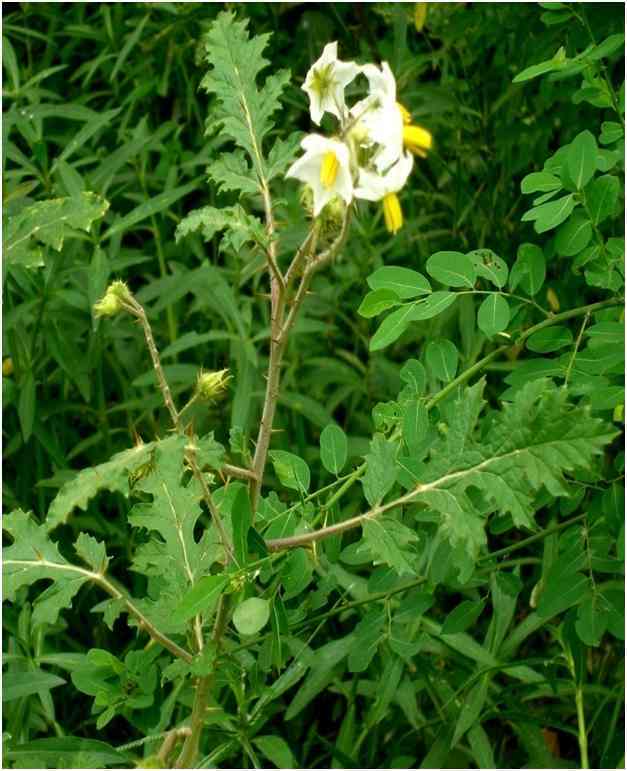 In fact, in all the countries mentioned above, it occurs as wasteland weed (Rahman et al., 2011). The family Papaveraceae is a famous family of plants because of the secondary compounds contained in its tissue. Papaver somniferum is the infamous Opium Poppy and most of the plants in the family contain at least one of a collection of toxic alkaloids (Tenaglia, 2007). Argemone mexicana is a prickly, glabrous, branching annual herb with yellow juice and showy yellow and white flowers, naturalized throughout up to an altitude of 1500m. In many parts of the world, it is reported as crop weed as well (Oudhia, 2002). The height of this plant ranges from .3 to 0.12 meters. Leaves are thistle like, stems are clasping, oblong, sinuately pinnatifid as well as spinous and veins are white. Flowers are terminal and of 2.5–5.0 cm in diameter. Fruits are capsule, prickly and oblong ovoid. Seeds are numerous, globose, netted and brownish black colour. These plants are toxic to grazing animals and cattle (Oudhia, 2002). Harmful allelopathic effects of Argemone mexicana on germination and seedling vigor of wheat, mustard, fenugreek, sorghum, finger millet, tomato, cucumber etc. (many crops in India) have been reported (Oudhia, 2002) . Almost every part of this plant (roots, leaves, seeds and yellow juice) has useful properties. Phytochemical screening revealed that there are various compounds present in this plant, like flavonoids, tannins, saponins, reducing sugars, sterols and many different alkaloids like berberine, protopine, sarguinarine, optisine and chelerytherine. Traditionally, Argemone mexicana has been reported to be used as diuretic, purgative, analgesic, anti-inflammatory, anti-tussive, antispasmodic, emetic and sedative. It is believed to destroy worms, cure itching and various skin diseases and can be given as an antidote to various poisons. The tincture of the entire plant has been reported to be used orally for bronchitis and whooping cough. The fresh juices of both the leaves and the latex have been accounted to be used as disinfectant for external wounds and cuts. 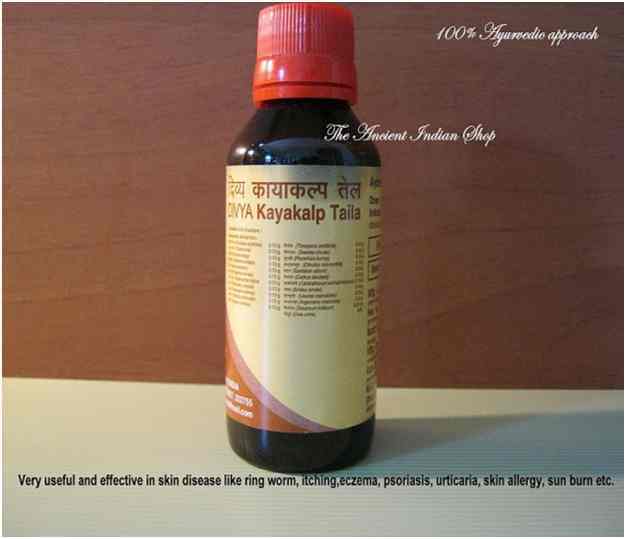 The fresh yellow, milky seed extract contains protein-dissolving substances, effective in the treatment of warts, cold sores, cutaneous infections, skin diseases (like allergy or itching) and also dropsy and jaundice (Chopra et al., 1986). Biological activities that have been addressed so far for A. mexicana are many. For example, the alkaloid sarguinarine can prolong ventricular refractoriness and this property may be useful for the treatment of ventricular arrhythmias. In many previous studies, the ethanol extract of the entire plant has been identified to possess antiviral, hypotensive and smooth muscle stimulant activities and found to be active against a number of microbes like Escherichia coli, Staphylococcus albus, Candida albicans, Proteus vulgaris, Sarcina lutea, Salmonella newport, Pseudomonas aeruginosa, Shigella flexneri and Staphylococcus aureus. Aqueous extract of leaf of A. mexicana has been reported to be an effective anti-inflammatory agent. The alkaloid fractions of the roots possess anti-inflammatory activity and strong uterine stimulant effect (Rahman et al., 2011). Seeds of A. mexicana resemble mustard seeds and in India it is used to adulterate mustard seed. Seed yield non edible toxic oil and causes lethal dropsy when used with mustard oil for cooking. In Homeopathic system of medicine, the drug prepared from this herb is used to treat the problem caused by tape-worm (Oudhia, 2002). There are other uses of this plant as well. A. mexicana has been found to be suitable for the reclamation of alkaline soil. Dried and powdered plants are recommended as green manure as it contain sufficient amount of Nitrogen, Phosphorus and Potassium (Oudhia, 2002). Seed oil, popularly known as Satyanashi oil in India, is used as an illuminant, lubricant, in soap making (due to the presence of saponins) and for protection from termites (Oudhia, 2002). 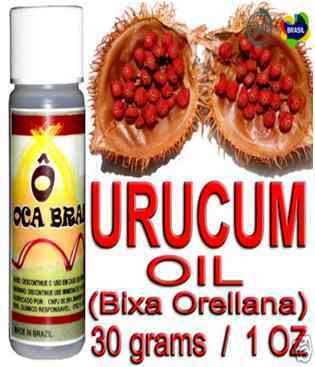 Bixa orellana Linn was the other medicinal plant of choice for the current research. It is a shrub or bushy tree ranges from 3 to 10 meters in height. 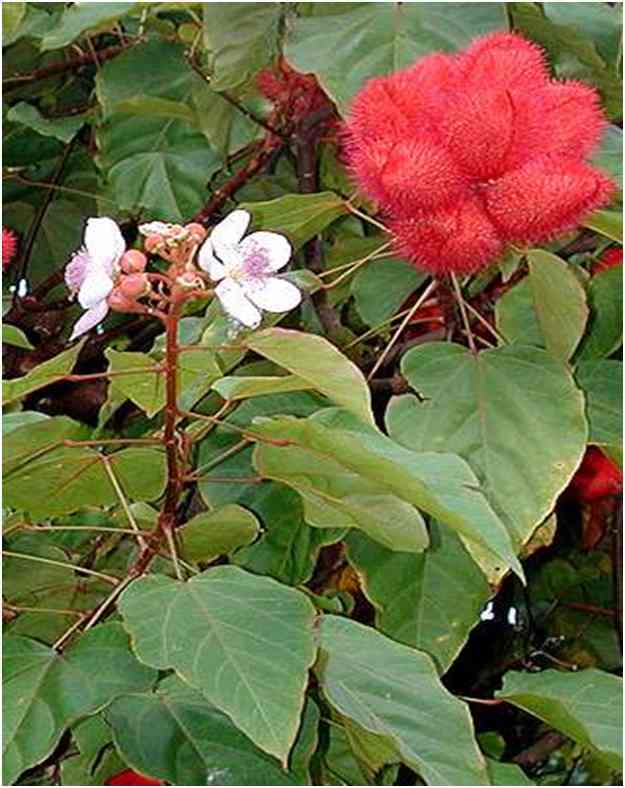 This plant belongs to the family of Bixaceae and is commonly known as Achiote, Aploppus, Annatto, Arnato, Urucu, Chinese Dye Tree, Lipstick tree or Saffron Tree. This plant has been originated from the tropical regions of America. Bixa tree was first introduced by the Spanish back in 17th century. Now this plant can be found in regions spanning the globe, like in tropical America, Brazil, East and West Indies and also widely cultivated in Asia and in Africa (Saha and Datta, 2012). The plant grows equally well in lowlands and mountainous regions or areas of higher elevation (Bruggeman, 1957). In fact, this plant is widely cultivated in many regions like in Orissa, Andhra Pradesh, Maharashtra, Karnataka, Tamil Nadu, Kerala and West Bengal (Saha and Datta, 2012) particularly for its seeds which provide an orange pigment. There are two varieties of Bixa orellana plants, one with white flower with green capsule and the other one with pink flower with red capsule. Flowers are about 4 to 6 cm in diameter. Its glossy, ovate leaves are evergreen with reddish veins and have a round, heart-shaped base along with a pointed tip, between 8 and 20 cm long and 5 and 14 cm wide. Stems are thin and long. From the flower protrudes a striking two-valved fruit, covered either with dense soft bristles or a smooth surface. These round fruits, approximately 4 cm wide, appear in a variety of colors like scarlet, yellow, brownish-green, maroon, and most commonly bright red. 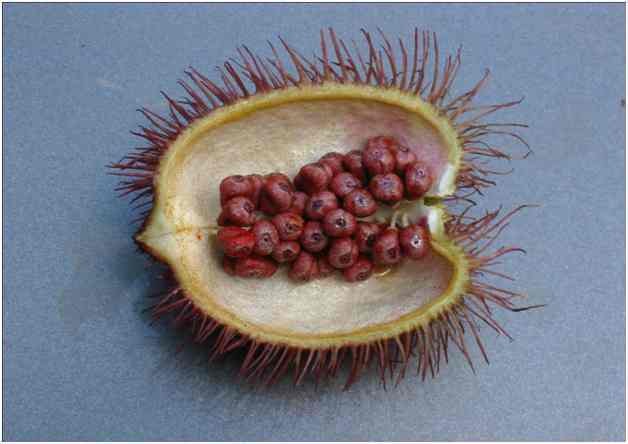 When ripe, they split open and reveal numerous small, fleshy seeds, about 5 mm in diameter and covered with red-orange pulp, the embryo of which is poisonous (Chopra et al., 1949). Seeds of Bixa orellana contain bixin which is an apocarotenoids (a natural food colouring). In fact, seeds contain about 5% of this pigment which consists of 70-80% bixin. Bixin is soluble in fats but insoluble in water. However, upon exposure to alkali, the methyl ester is hydrolyzed to produce the dicarboxylic acid called norbixin, a water soluble derivative. In other words, if we saponify bixin, we would get the water soluble norbixin. Although annatto or the Bixa seeds are mainly considered as a culinary spice (widely used in Caribbean and Latin cuisines), it has been proven to have many medicinal activities as well. Laboratory tests show that annatto seed extracts inhibit the growth of bacteria mainly because of the apocarotenoids that it contains which have antioxidant properties. Phytochemical screening of Bixa orellana plant has revealed various useful compounds such as tannins, saponins, flavonoids, steroids, proteins, alkaloids, anthroquinone, mono and sesquiterpenes (Ongsakul et al., 2009; Tamil et al., 2011). There is no alkaloid present in Bixa seeds (Ongsakul et al., 2009; Tamil et al., 2011). Besides the mentioned bixin and norbixin, other phytochemicals like bixaghanene, bixein, bixol, crocetin, ellagic acid, ishwarane, isobixin, phenylalanine, salicylic acid, orelilin, methyl bixin, ß-carotene, cryptoxanthin, lutein and zexanthin (Saha and Datta, 2012) are also found in Bixa seeds. In many developing countries, people of native communities use Bixa (annatto) as folk medicine in the form of decoction, tea and juices for the treatment of common infections. The entire plant is useful for fever and dysentery. A decoction of the leaves is used to stop nausea and vomiting (emetic), can be used to treat heartburn, prostate and urinary difficulties. The seeds have been reported to be used for various conditions like sinusitis, constipation, asthma, high cholesterol, uteritis, hypertension and many skin disorders.Preliminary screening of antibacterial activity of Bixa orellana leaves and seeds has been carried out (Shilpi et al., 2006). The seed pulp of Bixa is widely used in herbal medicine for gonorrhea. Leaves, bark and root extracts have been used for antidote for poisoning. The oil derived from Bixa seeds are used to cure leprosy and decoction is given to treat jaundice. Bixin is used all over the world as a red-orange dye for coloring rice, cheeses, soft drinks, oil, butter, soup, popcorn, and breads. 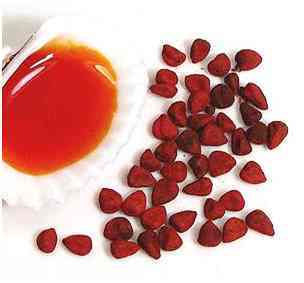 Annatto has been used for centuries to preserve and flavor food. The dye is also used in some regions to dye textiles (Morton and Ledin, 1952). In Philippines, the red pulp from the seeds is used as a polish for russet leather (Quisumbing, 1951). Various indigenous groups paint their hair and bodies with the pulp to repel insects and protect from sunburn. Bixin was also the original Amerindian war paint (Mabberly, 1987). The seeds are given to bulls to make them aggressive for bullfighters and are taken by Indians as an aphrodisiac (Morton, 1981). In United States, Bixa seeds and its natural pigment have commercial values because it has been declared by the Food and Drug Administration as “exempt of certification”. Bixin is also used in cosmetics for its characteristic color, particularly in lipsticks; hence, the name ‘lipstick plant’. Multi-drug resistant (MDR) bacteria can be defined as bacteria having several resistant genes to survive exposure to various antibiotics. In other words, these bacteria are capable of developing genetic ability to resist many common antibiotics. 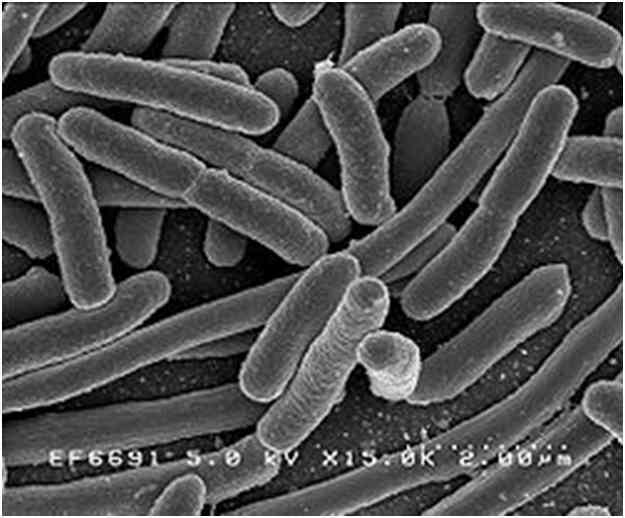 Acinetobacter, Klebsiella, Staphylococcus (MRSA- Methicillin-resistant strain), Escherichia coli (E. coli), Gonococcus and Pseudomonas are example of some Multi-drug resistant bacteria among which E. coli, Pseudomonas and MRSA are carried by humans as part of their natural flora (Kumar and Kamaraj, 2011). MDR bacteria can be acquired by person to person through personal contact from contaminated surfaces or from contaminated cuts or wounds. MDR bacteria are capable of passing on the drug resistant gene through a process called horizontal gene transfer (Ongsakul et al., 2009; Tamil et al., 2011). In this research two multi-drug resistant bacteria were used, gram negative bacteria Escherichia coli (E. coli) and gram positive bacteria Methicillin-resistant Staphylococcus aureus (MRSA). The purpose of choosing these two MDR bacteria was to test whether they are susceptible to A. mexicana leaf and B. orellana seed extracts and also to see if these plants can be utilized for the production of alternative antibacterial medicines against those MDR bacteria. are resistant to various common antibiotics like ampicillin, cephalothin, trimethoprim-sulfamethoxazole or ciprofloxacin (Sahm et al., 2011). Staphylococcus aureus (MRSA) are those strains which are resistant to beta-lactam antibiotics such as penicillin, methicillin, cephalosporin, oxacillin etc. MRSA strain was first reported back in 1961, soon after methicillin was introduced in human medicines to treat penicillin-resistant Staphylococci. MRSA is usually more troublesome in hospital environments where patients with open wounds, invasive devices and weakened immune systems are at greater risk of infection than the general people. 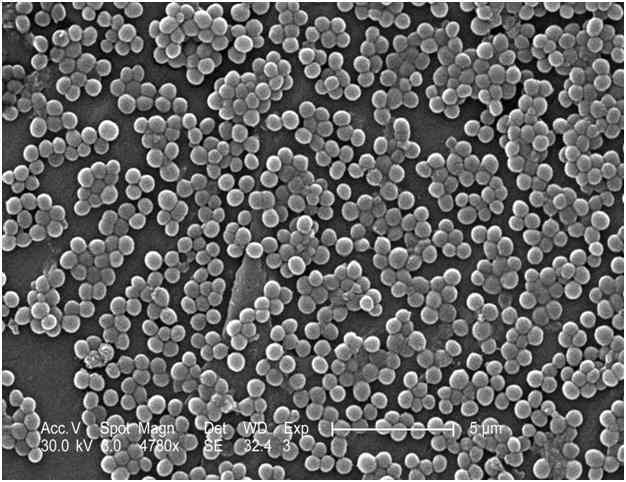 The antibacterial activities of leaf extract of A. mexicana have been observed against Staphylococcus aureus (Dhanapal and Prasad, 2010). Therefore, this present work aimed to identify the antibacterial activity of both plants against MRSA. The main objective of this study was to look into some possibilities of producing alternative antibacterial drugs from medicinal plants in order to overcome the problem with commercial antibiotics. And so, this research aimed to identify whether B. orellana seed and A. mexicana leaf could be used as antibacterial medicines against MDR bacteria due to the presence of various active phytochemicals within them. In the past, many researchers had successfully experimented these two plants against a number of pathogenic bacteria and they had gotten positive results. The current study has successfully confirmed that the leaves of A. mexicana and the seeds of B. orellana plants definitely contain various useful compounds capable of inhibiting growth of two multi-drug resistant (MDR) bacteria, Escherichia coli and methicillin- resistant Staphylococcus aureus. However, more detail work should be conducted in this area in order to ascertain the antibacterial and maybe the antioxidant activities as well of both B. orellana and A. mexicana plants; so that, results obtained from this research along with many similar works done previously on the said plants could be used in search of new herbal drugs. Fresh plant leaves of A. mexicana were collected from North South University (NSU) premises and the surrounding area of Bashundhara City, Dhaka, Bangladesh. Dried seeds of B. orellana were collected from Bangladesh Jute Research Institute (BJRI) campus, Manik Mia Avenue, Dhaka. Both plant materials were authenticated by Dr. Donald James Gomes, Professor and Dean, School of Life Sciences, North South University, Dhaka, Bangladesh. Leaves of A. mexicana were washed thoroughly under running tap water and then air dried for about seven to ten days under shades. Dried leaves were then pulverized in a grinding machine. On the other hand, dried seeds of B. orellana were also reduced to fine powder by using grinding machine. Air dried leaf powder (10 g) of A. mexicana was extracted separately with methanol and ethanol (30 ml and 50 ml each) at room temperature for about 72 hours. On the other hand, dried seed powder (10 g) of B. orellana was extracted separately with methanol and ethanol (20 ml and 40 ml each) at room temperature for 72 hours. Moreover, A. mexicana leaf powder (10 g) and B. orellana seed powder (10 g) were also extracted separately and successively with autoclaved distilled water (80 ml and 40 ml each) and incubated at 37ºC for 48 hours. All the residues were first individually passed through cheese cloth and then filtered by Whatman filter paper (0.2 µm pore size, 11 cm diameter). Some of the filtered samples were kept in the refrigerator in the liquid form and the rest were evaporated to dryness under certain pressure in a rotary evaporator in order to obtain crude extracts for pharmacological screening. 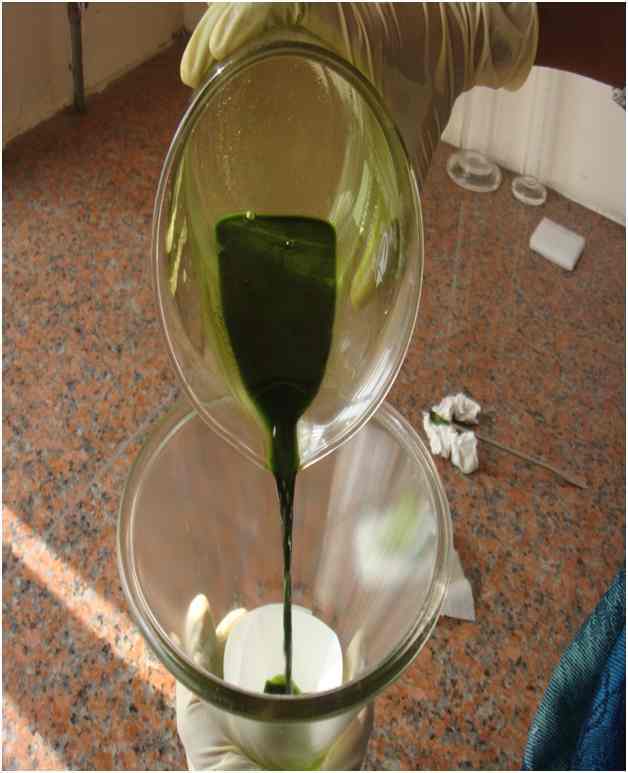 The crude extract after rotary evaporation resembled thick gummy mass. 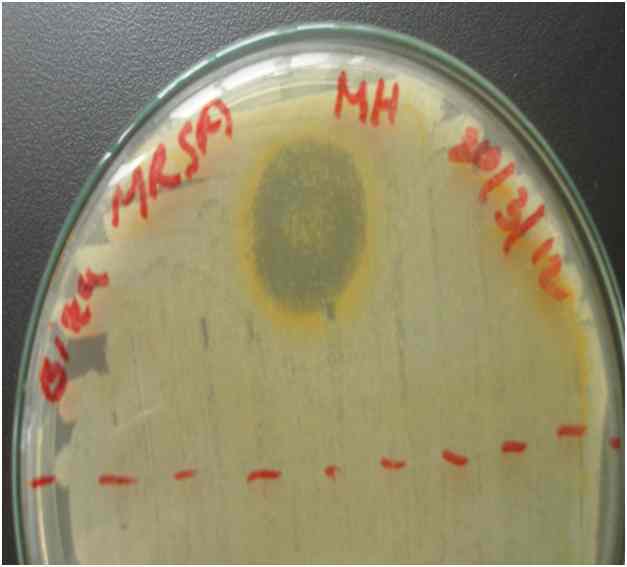 In this research, two multi-drug resistant (MDR) bacteria, Escherichia coli (E. coli) and methicillin-resistant Staphylococcus aureus (MRSA) were used. Clinical strains of these two bacteria were collected from Dhaka Medical College Hospital, Dhaka, Bangladesh. Antimicrobial activity of A. mexicana and B. orellana against both test organisms were observed by drop diffusion method. 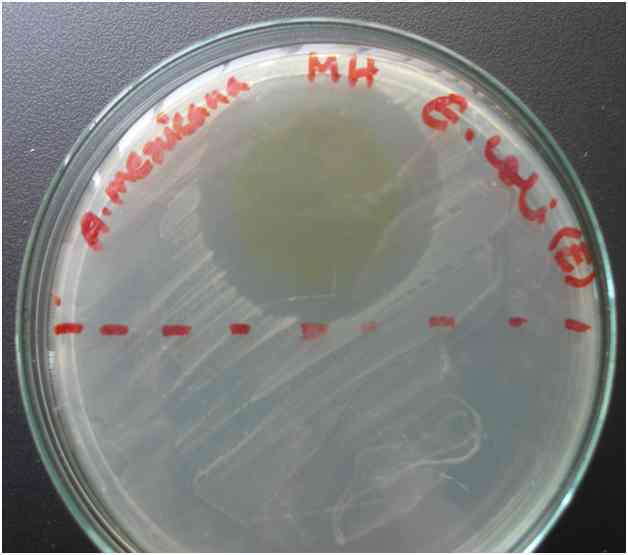 First, overnight cultures of E. coli and MRSA were prepared in nutrient agar medium and used to obtain four hour inoculums of both bacterial strains. This was done by taking 108 CFU bacterial cultures (approximately one loopful) from the overnight preparation with a sterile loop and transferred to 5 ml each of nutrient broth medium in two separate test tubes; one for E. coli and the other one for MRSA. The nutrient broths with inoculated test organisms were then incubated for four hours at 37ºC. From each filtered extract of leaves of A. mexicana and seeds of B. orellana that were kept in the refrigerator, 10 µl aliquots (approximately two drops) were aseptically transferred onto each bacterial lawn and the plates were then kept at room temperature for about 10 minutes undisturbed (until the samples settle on the plates). The concentration of ethanol, methanol and aqueous extract of leaf of A. mexicana and seed of B. orellana were 200,000 µg/ml, 300,000 µg/ml, 125,000 µg/ml, 250,000 µg/ml, 500,000 µg/ml and 250,000 µg/ml respectively. 10 µl Aliquots of each solvent (methanol, ethanol and distilled water) were also transferred the same way in separate plates which were used as positive controls against both test bacteria. Two other Mueller Hinton plates were used as negative control containing no sample or solvent. All twelve plates were then incubated at 37ºC for 20 hours. Following incubation, the diameter of zone of inhibition was measured. The Rf values obtained from both plant extracts were indicative of the presence of various phytochemicals or radical scavengers (antioxidants) responsible for antimicrobial activities. The Minimum Inhibitory Concentration (MIC) of the crude ethanol extracts of A. mexicana leaf and B. orellana seed against E. coli and MRSA were determined by using serial broth dilution technique. Concentration ranged from 50,000 µg/ml (50 mg/ml) to 781.25 µg/ml (0.78 mg/ml). In this experiment, fourteen (14) sterilized test tubes were used for both plant extracts. Two sets of tubes (7 tubes in each set) were numbered from tube #1 to tube #7; one set for A. mexicana and the other set for B. orellana. Mueller Hinton broth media was prepared and sterilized. Ethanol extracts of A. mexicana leaf and B. orellana seed were prepared by taking 0.4 g gummy mass of plant sample and reconstituting it separately with 8 ml each of ethanol to get 50,000 µg/ml concentrations of both plant extracts. All tubes except tube #1 from both sets were filled with 4 ml of sterile MH broth. On the other hand, 4 ml of reconstituted ethanol extract of A. mexicana leaf and B. orellana seed were separately transferred to tube #1 of each set. Another 4 ml each of the same A. mexicana and B. First, 4 ml of sample solution was transferred from tube #2 of each set to tube #3 of the same set, containing 4 ml of nutrient MH broth. After mixing the contents thoroughly, 4 ml was transferred from tube #3 of each set to tube #4 of the same set. Serial dilution was continued by the above process up to tube #7 of each set. At last, 4 ml was removed and discarded from the final tubes (tube #7) of each set. At the end of the entire process, 7 tubes in each set of plant samples contained a final volume of 4 ml having concentrations of 50,000 µg/ml, 25,000 µg/ml, 12,500 µg/ml, 6,250 µg/ml, 3,125 µg/ml, 1,562.5 µg/ml and 781.25 µg/ml respectively. All test tubes were then tested for absorbance by using spectrophotometer at three different wavelengths. After that, every test tube in each set was inoculated with test bacteria (inoculums contained approximately 108 CFU per loop) followed by incubation at 37ºC for about four hours to allow bacterial growth. Argemone mexicana sample was tested against E. coli bacteria and Bixa orellana sample was tested against MRSA bacteria. After successful incubation, each set of tubes was again tested for absorbance and the results obtained were compared with the results obtained prior to inoculation by test bacteria. Lowest minimum concentration of extract above which no growth was observed was considered as the Minimum Inhibitory Concentration (MIC) of that sample. Another two test tubes containing broth medium and medium plus inoculums were used as control. From Table 3.1.1 we see that, A. mexicana leaf ethanol extract showed highest zone of inhibition (35 mm) when tested against E. coli bacteria than against MRSA (15 mm). On the other hand, ethanol extract of B. orellana showed higher zone of inhibition against MRSA bacteria (20 mm) and smaller zone when tested against E. coli (15 mm). Methanol extracts of both plants gave very small zone (6 to 7 mm only). No zone was observed for the aqueous extracts. 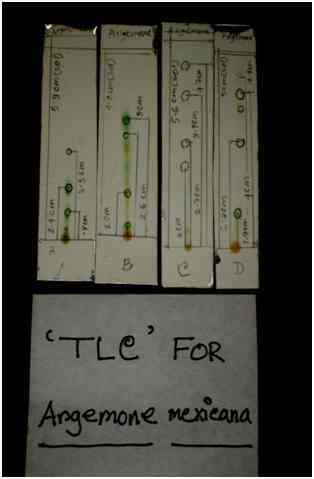 A. mexicana leaf and B. orellana seed extracts were also subjected to another qualitative test called Thin Layer Chromatography (TLC). 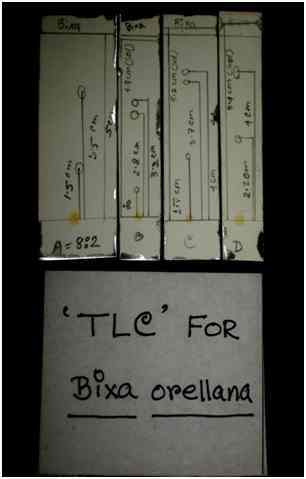 A number of spots on the TLC plates for both plant extracts were separately identified which clearly indicates the presence of various chemical compounds. Retention factors (Rf) were calculated. Different ratios of n-hexane and ethyl acetate solvent system gave many Rf values for the same plant extract. For Bixa orellana seven (7) different Rf values were obtained and for Argemone mexicana nine (9) different Rf values were obtained. Table 3.2.1 represents different Rf values that were calculated for both plant samples. Table 3.2.1: Various Rf values calculated according to the different ratios of solvents for the leaves of A. mexicana and the seeds of B. orellana ethanol extract. For A. mexicana, tube #6 showed slight increase in absorbance in the sample containing bacteria than that of without bacteria. Therefore, tube #6 was confirmed for bacterial growth. In other words, concentration in tube #6 which was about 1562 µg/ml was the MIC value for A. mexicana. Likewise, for B. orellana, tube #4 showed increase in absorbance; hence, proof for bacterial growth. And so, the concentration in tube #4 which was about 6250 µg/ml was the MIC value for B. orellana above which no bacterial growth was observed. The purpose of this research was to determine the antibacterial properties of Argemone mexicana leaf and Bixa orellana seed extracts by performing both qualitative and quantitative assays in order to get some useful insights on the possibility of having these medicinal plants to contribute to the production of antibacterial medicines. Previously, a number of experimental researches have been conducted on both A. mexicana and B. orellana plants successfully proving their antioxidant and anti-microbial activities (Ongsakul et al., 2009; Tamil et al., 2011; Pandey and Karanwal, 2011). Similar works which had been carried out in the past with A. mexicana and B. orellana along with various other medicinal plants in order to determine their anti-microbial activities, had been performed by the standard agar-disk diffusion method known as Bauer Kirby method (Bauer et al., 1966) or agar-well diffusion method (Kumar and Kamaraj, 2011). However, this research had chosen simple drop diffusion technique to perform the antimicrobial test to observe whether applying plant extract directly on to the test organisms without the aid of sterile paper discs or wells has any positive antibacterial effect or not. of A. mexicana was proven to be more efficacious against E. coli than that of the seeds of B. orellana. On the other hand, against MRSA, the ethanol extract of the seeds of B. orellana was confirmed to be more effective than that of the leaves of A. mexicana. Methanol extracts of both plants showed less bacterial inhibition compared to ethanol extracts. Aqueous extracts of both A. mexicana leaves and B. orellana seeds did not show any zone of inhibition against test organisms. This was quite interesting result because in the traditional method of treating bacterial infection, decoction of various plant parts or boiling the plant parts in water is usually employed in order to have highest antibacterial activity. Whereas, according to the results of the present study, organic solvent extracts of both plants had been proven to engender much better antibacterial activities against both test bacteria. These observations may be attributed to a couple of reasons, the activity of biologically active compounds that are present in the test plants may tend to increase with the presence of organic solvents; or, the organic solvents having stronger extraction capacity may be capable of producing greater number of active constituents responsible for antibacterial activities (Bhattacharjee et al., 2006). Anyhow, since compared to methanol and aqueous extracts, ethanol extracts of both plants showed greatest antibacterial activities, therefore, ethanol extract was chosen for further qualitative and quantitative tests. in A. mexicana leaves such as saponins, alkaloids, flavonoids, tannins etc. (Kapoor et al., 1969; Salehi-Surmaghi et al., 1992; Segelman et al., 1969). On the other hand, phytochemical screening of the seeds of B. orellana has been confirmed to contain delta-tocotrienol (forms of natural vitamin E), apocarotenoids like bixin and norbixin, essential oil, tannins, salicylic acid, flavonoids, saponins, proteins and various amino acids like glutamate, aspartate and leucine (Halliwell, 1995). All of the spots on TLC plates are clearly indicative of the presence of these possible phytochemicals (secondary metabolites) mentioned earlier. Therefore, these valuable findings can be taken one step further by performing relevant tests to affirm these compounds for successful isolation and purification. In fact, if we can sequester these beneficial organic chemicals that are produced by leaves of A. mexicana and seeds of B. orellana plants, we can surely utilize them to produce alternative antibacterial medicines that would be solely from the nature. This could somewhat solve various problems that we are facing now with commercial antibiotics, in Bangladesh as well as in other developing countries. The Minimum Inhibitory Concentration (MIC) values of both A. mexicana leaf and B. orellana seed ethanol extracts that were procured could render useful information for using these plants in pharmaceutical production. Most importantly, MIC values obtained could confirm the potency of an active extract or that of a compound of the said plant against test bacteria used in this study or against any other pathogen. Hence, additional tests could be carried out to reconfirm the MIC values so that they can be compared with the MIC values of commercial antibacterial agents or antibiotics (Halliwell and Gutteridge, 1989). The results obtained from current work have favorably substantiated the presence of phytochemicals (plant secondary metabolites) in Bixa orellana seeds as well as in Argemone mexicana leaves, effective against MRSA and E. coli bacteria. This research was accomplished at an elementary level compared to many similar works that have been done on Argemone mexicana leaves and Bixa orellana seeds against various pathogens (Ongsakul et al., 2009; Tamil et al., 2011; Pandey and Karanwal, 2011), in much more detail manner and well documented. Even so, the results of the present study are no less helpful than that of the others. Further detailed work could be conducted in this area to gather more evidence on B. orellana seeds and A. mexicana leaves as well as other parts of these plants in terms of their antibacterial and antioxidant properties which would successfully guide us in developing alternative antibacterial medicines rather than just relying on monetary products. As a result, combating infectious diseases caused by many multi-drug resistant bacteria such as E. coli or MRSA would certainly become relatively easier and cheaper for developing countries like Bangladesh. In other words, since both A. mexicana and B. orellana plants have been ratified to be effective against pathogenic bacteria, they may definitely be considered as potential bactericides.